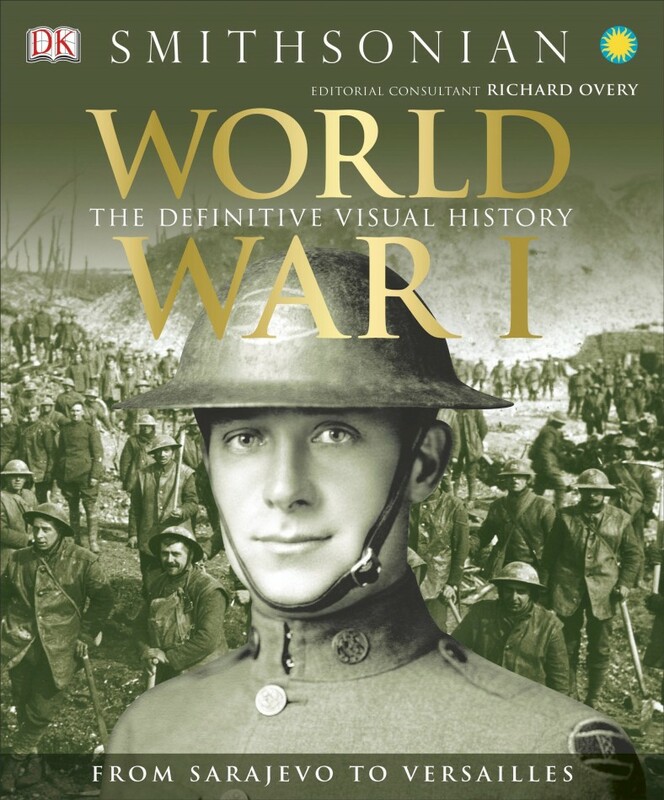 2014 marks the centennial of the start of World War I — DK will mark the occasion with the publication of World War I: The Definitive Visual Guide, a vividly illustrated, in-depth account of the Great War. Written by historian R. G. Grant, and created by DK’s award-winning editorial and design team, World War I charts the developments of the war from a global perspective. Using illustrated timelines, detailed maps, and personal accounts, readers will see the oft-studied war in a new light. Key episodes are set clearly in the wider context of the conflict, in-depth profiles look at the key generals and political leaders, and full-color photo galleries showcase the weapons, inventions, and new technologies that altered the course of history. A vivid portrait of the confrontation on land, sea, and sky, World War I: The Definitive Visual Guide offers readers a bold and thoughtful new look at this complex and explosive moment in history. Author R.G. Grant, along with consultant Richard Overy and the Smithsonian Institution, have created a smorgasbord of WWI history in this text. Each page is lavished with maps, charts, photographs, and illustrations to compliment the fascinating and well-written history, thus lifting what for some may be well-trod facts to an engrossing level. Seven chapters take readers from the origins of WWI–starting in 1870 and the unification of the German Empire–to the aftermath of the war, 1919 to 1923, when nations began to shake off the lingering shadows of WWI and a pacifist movement took hold. Our one hundred year old hindsight lends this last chapter a particular poignancy, for we know that twenty years after the Treaty of Versailles was signed, the world was engulfed in yet another–and far deadlier–war. But to bring the focus back to this book and its topic, the combination of personal biographies, timelines, battle descriptions, diplomacy, social history, first hand accounts, and artifacts bring WWI brilliantly to life. Each chapter details the war, step by step, army by army, battle by battle, and person by person, leaving no stone of fact or legend unturned. It also manages to give a balanced glimpse of all battlefronts and nations involved, ranging from the ANZACs to the mostly forgotten battles that raged in Africa. I did wish for a little more “break out” sections about women’s roles and the presence of colonial troops (this truly was a global war, with Indians, Native American/First Nations, Indigenous Australians, Africans, etc participating on the Western Front! ), but Grant ably drew everyone into this already jam-packed book. The sturdiness of the pages and the binding is worth the price alone! I’ve had this for about two months and it’s been passed through hands less reverent of the written word than mine, yet it’s still in top condition. Those new to the war, as well as WWI buffs and historians will find much to appreciate in this book, and it is a commendable addition to the spate of books that have been published in the centennial year of the First World War. Bravo to its author, its publisher, and its contributors. « WWI Wednesday: Pipes, Cigarettes, & Cigars! I am not fascinated by the weapons, inventions and new technologies that altered the course of history, although I realise many historians of WW1 will find those chapters amazing. But this is 2014, and all the history books, journals and newspaper articles are memorialising WW1. So I would be delighted to borrow the book to read personal biographies, diplomacy, social history and first hand accounts that make WWI real and human.